The Wyndham LUX Perth development has become the world’s first hotel to obtain a verified Environmental Product Declaration (EPD), an internationally recognised document displaying its sustainability credentials. An EPD reports the environmental impact and entire life cycle of a product or system. It is assessed through scientific methods and conducted according to international standards. 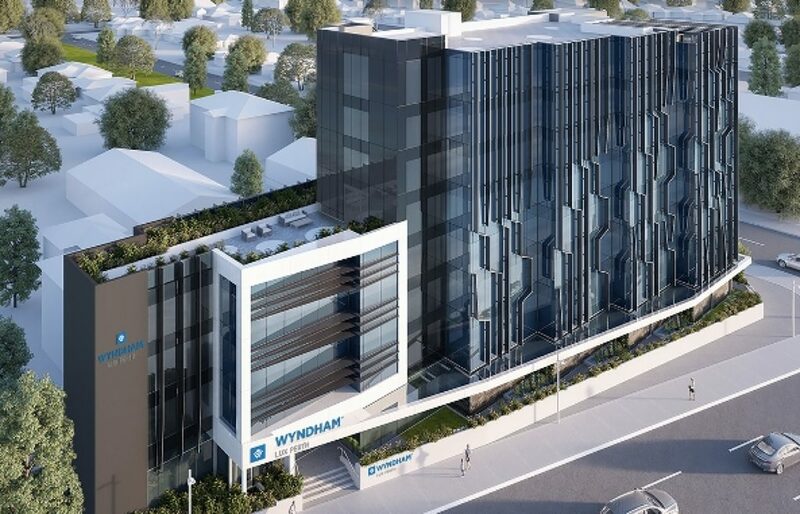 Wyndham LUX Perth, which will be built on Great Eastern Highway in Rivervale, is not only the first hotel worldwide to obtain an EPD, but the only built structure in the southern hemisphere to achieve the accreditation. The property received the verification after a rigorous process that determined the building’s environmental footprint, including where its materials were sourced, how they were transported and the fuel efficiency of the transport. The hotel will be built by NXT TEC, which has developed a unique, simple model of assembling buildings in a way that reduces wastage and improves efficiency. Stephen Mitchell, chair of the Australasian EPD Programme, said: “Obtaining the first EPD for a hotel globally at the concept design stage is a significant achievement that NXT should be incredibly proud of. David Wray, Wyndham Destinations Asia Pacific senior vice president of Acquisitions, Procurement, Project Management and Technical Services, said: “The Wyndham LUX Perth Hotel will change the nature of hotel development and hospitality by placing a greater emphasis on minimising the environmental impact of building and ongoing management. Building work on the hotel is due to start in the near future.